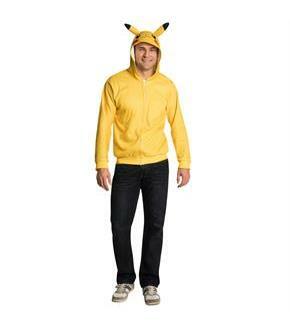 Man has plenty to learn from nature and Pokemon, so put on the Adult Pikachu Hoodie and get ready to learn. 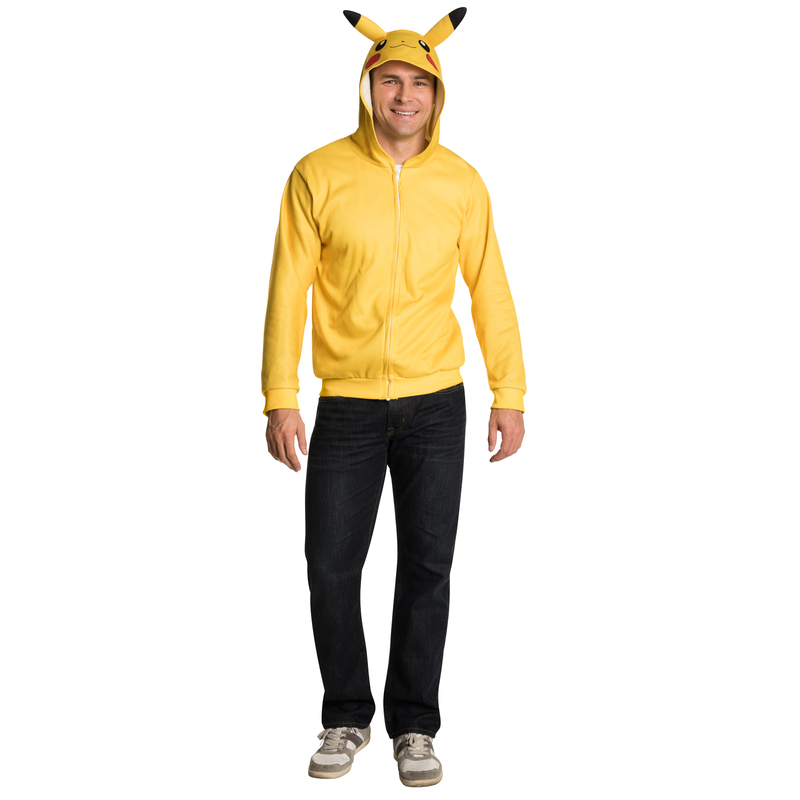 The hooded yellow jacket has a zip up front, attached lightning bolt tail in back and Pikachu's face on the hood. Versatile, it can be used as a costume for Halloween or you can wear it for fun any day of the year. In the anime series, Ash Ketchum arrived late to his trainer class and did not get the same Pokemon that the other trainers receive. Instead, he receive the Pikachu that no one else wanted. The Pikachu does not want to listen to his trainer, but eventually comes to respect and obey Ash, except for one thing, Pikachu refuses to get into his Poke Ball. When you put on this outfit, you won't be the reject, everyone will want you, but you can still be independent like Ash's Pikachu.